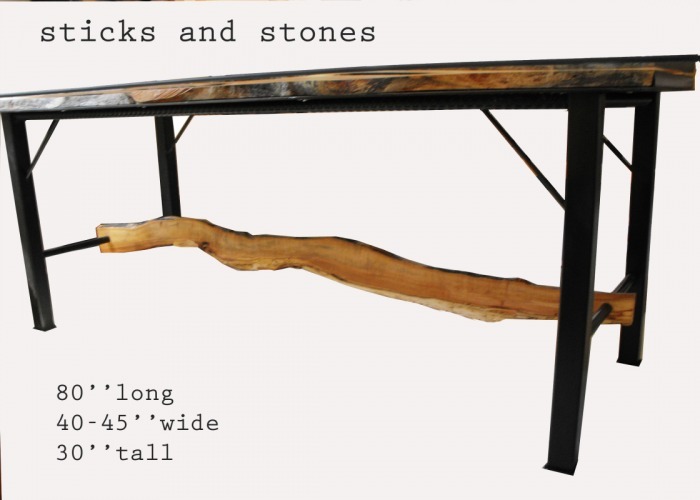 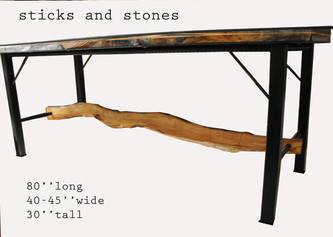 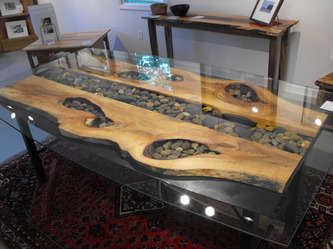 This table was created to symbolize a flowing river. 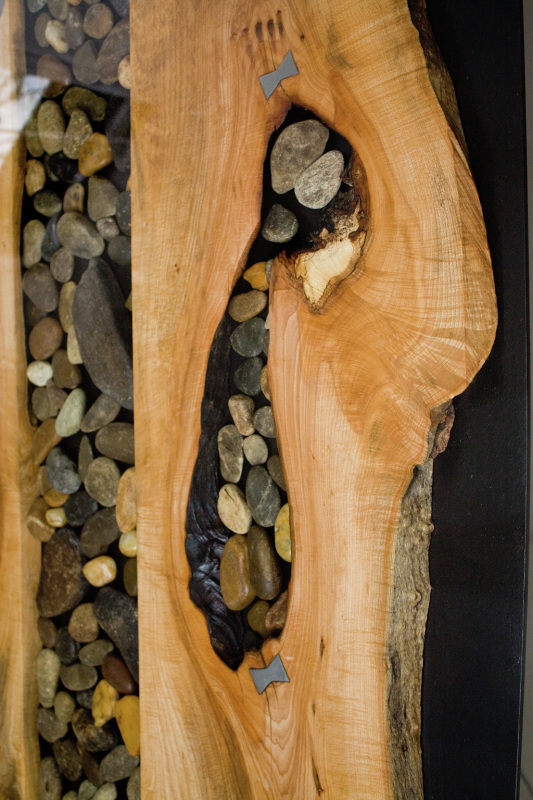 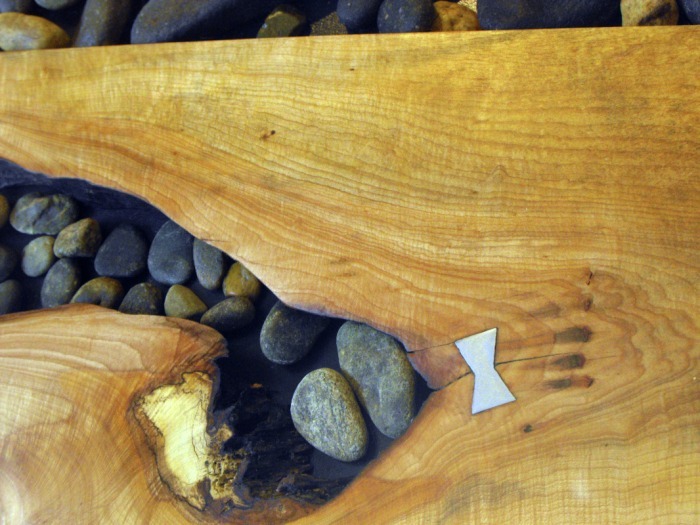 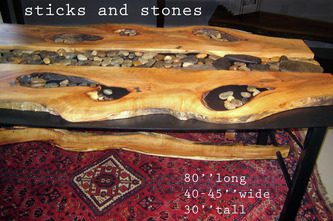 River rocks are dispersed between and inside two gorgeous pieces of live edged maple. 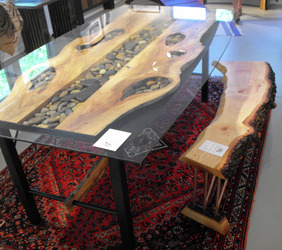 The glass top is curved, following the shape of the metal underneath which reflects a water like glaze. 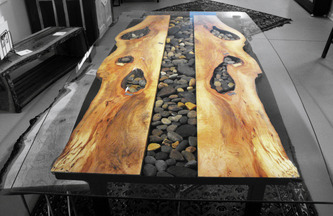 Wire brushed steel butterflies can be seen on the maple top and steel dowels connect the maple stretcher to the legs. 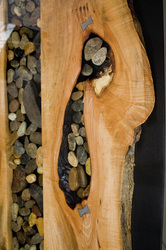 The maple is salvaged from Kimberly Avenue- Asheville, North Carolina.